Last week Google announced that their popular web browser, Google Chrome, will display warnings to users who access non-HTTPS sites by strongly advocating that all websites adopt HTTPS encryption. Although all sites should be secure and run on HTTPS by default, there are still a proportion of sites that have yet to make the switch, which is why Google will now side with those that have taken the necessary steps in securing their site, rather than those that haven’t. But before we drilldown into these latest updates to Chrome, let’s first revisit what HTTPS is and why you need to run your site over its protocol. 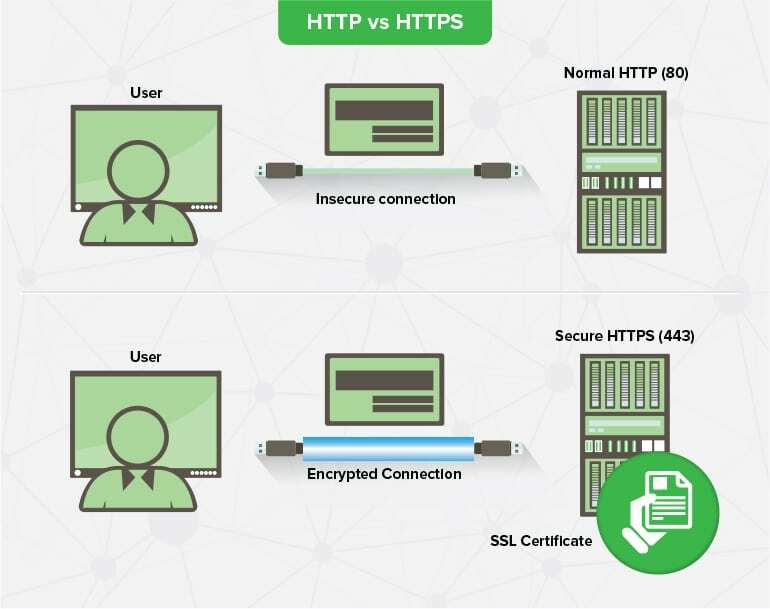 If you’re sat there thinking what is HTTPS, then there’s probably no better time than now to try to gain more of an understanding. Hyper Text Transfer Protocol Secure is essentially a secure version of HTTP, which is the protocol used to send and receive data between your web browser and the website you’re attempting to access. The fundamental difference between the secure version and the not secure version is that, when secure, all connections between browser and website are encrypted to protect the sending/receiving of sensitive data. As such, this heightened security reduces the chances of being a victim of cyber attacks where known web vulnerabilities can be exploited. So, what’s changing in Chrome? Whilst making the switch to HTTPS is no new initiative and Google’s core algorithm is known to already favour secure sites over non-secure, new changes to Google Chrome have been rolled out to identify all sites that have yet to migrate to HTTPS as “Not Secure” as shown in the below image. Currently, Google Chrome identifies all sites that run on HTTPS as “Secure” with a green lock icon to indicate that the page you’re visiting is a secure page that’s encrypted and protected from cyber attacks. However, Google’s latest update (Chrome 68) is the first change that’s been initiated to identify all sites that are “Not secure”, which means that essentially all sites accessed through Google Chrome will be displayed as either “Secure” or “Not Secure”. Google’s next planned alteration is scheduled for September 2018 in an update named Chrome 69, which will see them remove the green lock and label in the search bar and assume that all sites run on HTTPS as shown in the above image. As per the previous update (Chrome 68), all non-HTTPS sites will be identified with the “Not Secure” label. Put simply, rather than assuming that a site is not secure – unless indicated with the lock and label – users can now assume that a site is secure, unless otherwise indicated by the “Not Secure” label. Making the switch to HTTPS should be high up on your priority list if you own a website or online business and have yet to secure your website. As such, there is no better time than now so it’s advisable to take the necessary measures to find out whether your site is secure or not and better your understanding of what this means. Should you have any questions or queries as to how to make the switch to HTTPS or why you need to, then why not get in touch with us today to see how we can help to secure your site today to safeguard your website’s future.